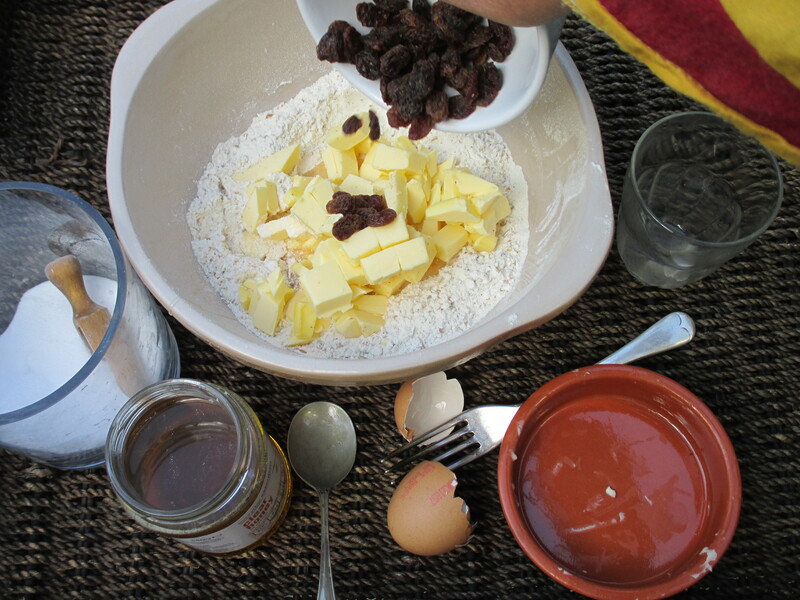 Flour, butter, salt, sultanas, honey and an egg. 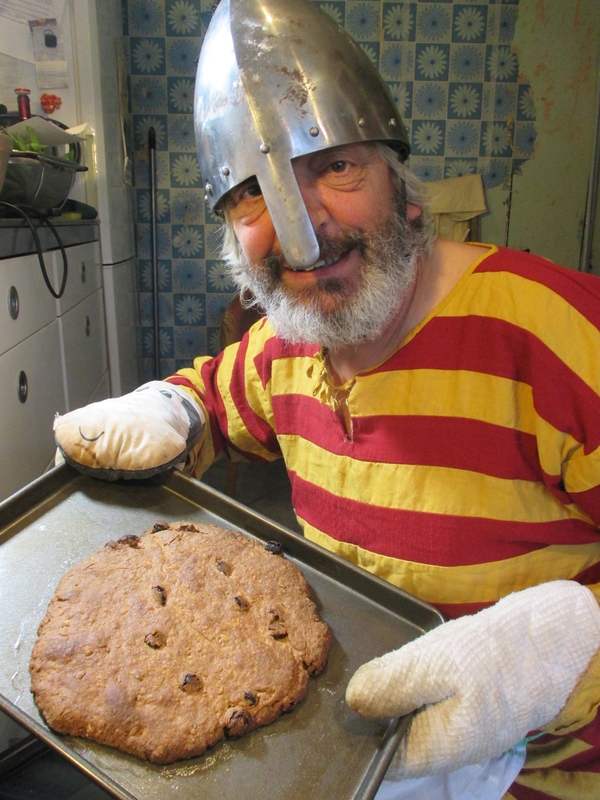 Vikings ate a really tasty and good for you flatbread. 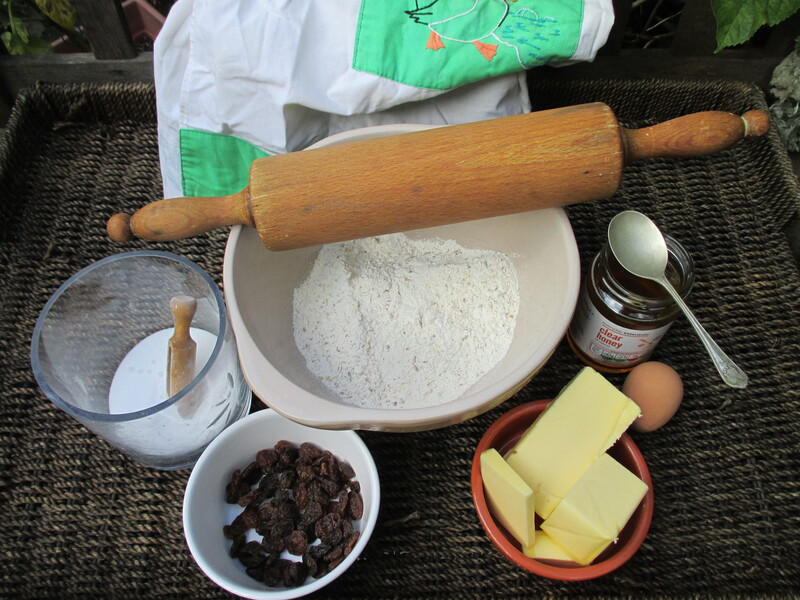 here is her recipe. It’ll take an hour or so to make. but you can put it on a baking sheet and cook it in the oven. 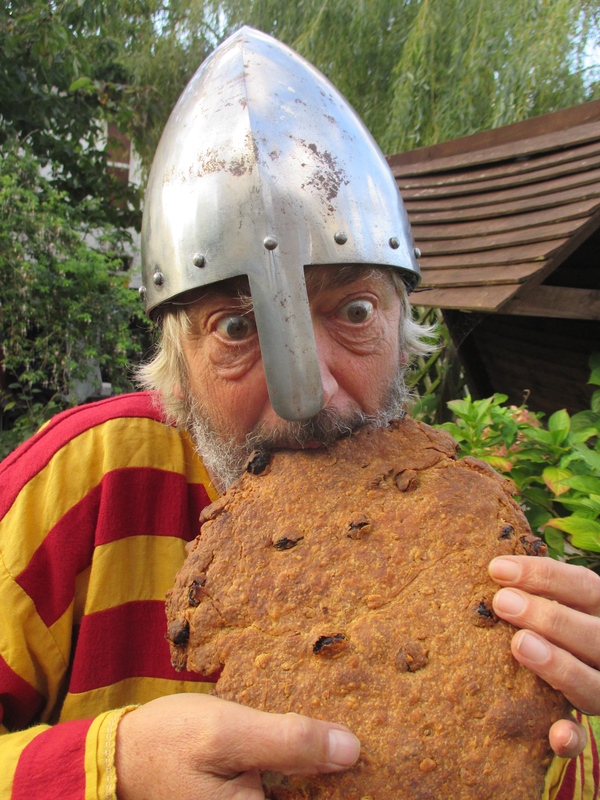 Thor Nogson likes his flatbread with honey and sultanas but you could use sugar and raisins or currants or you could make it savoury by adding cheese . You can be as creative as you like! Then eat it like a Viking! Get your hands in and squish it all together. 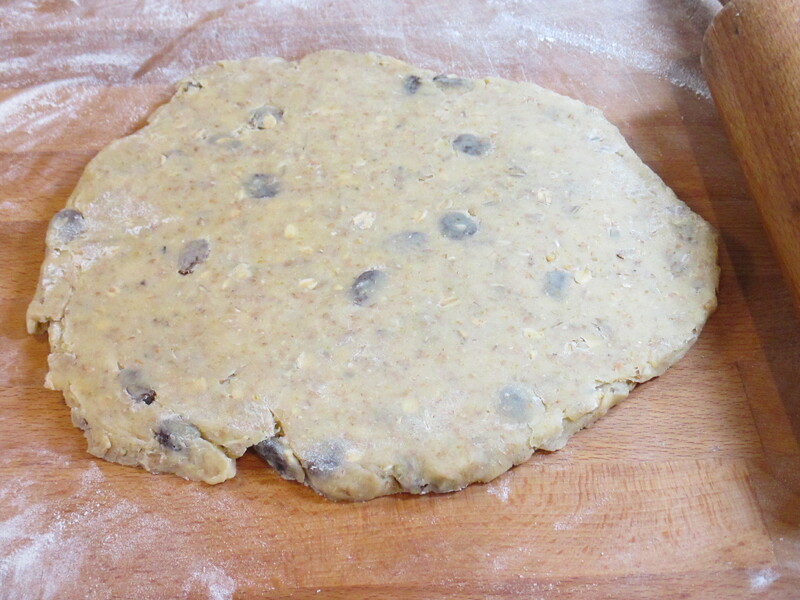 Fold the dough in half, then half again. 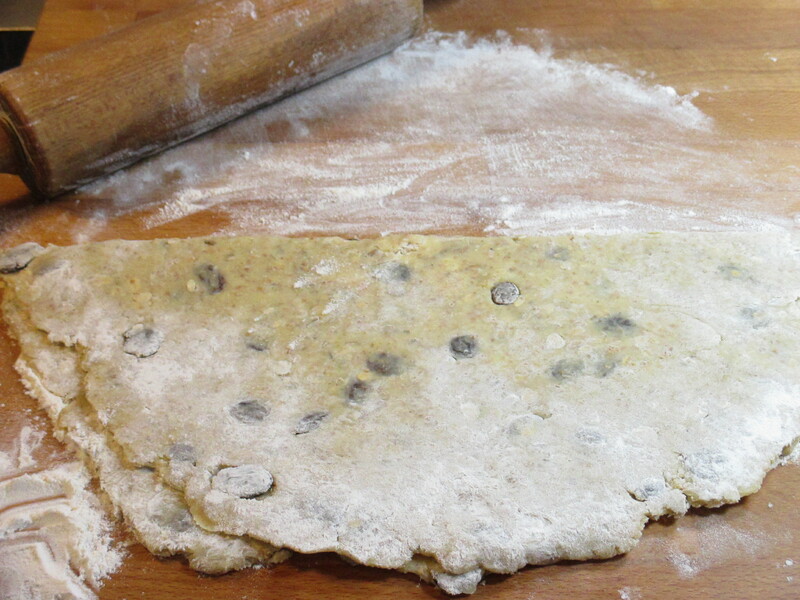 Flatten it out then roll it into a round about as thick as your finger. 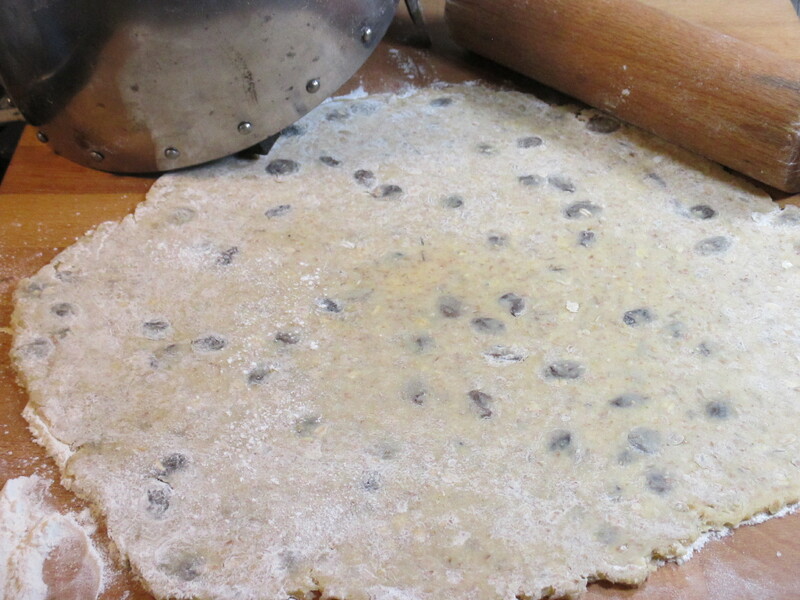 Roll the dough into a round shape and as thick as your finger. 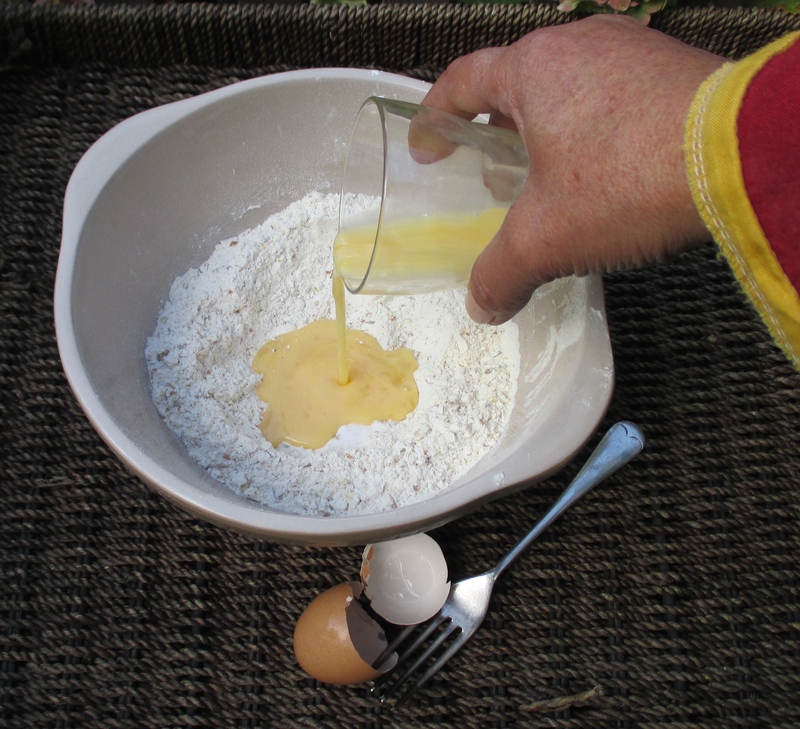 put the dough on a huge hot stone in the middle of the fire … or put it on a baking sheet and bake it in a pre-heated oven at 220 degrees centigrade (Gas mark 7/425 degrees Fahrenheit) for 25 to 30 minutes. Pop your oven gloves on and take the bread out of the oven when it is golden brown. When it is golden brown take it out of the oven, let it cool a little then eat it like a viking! 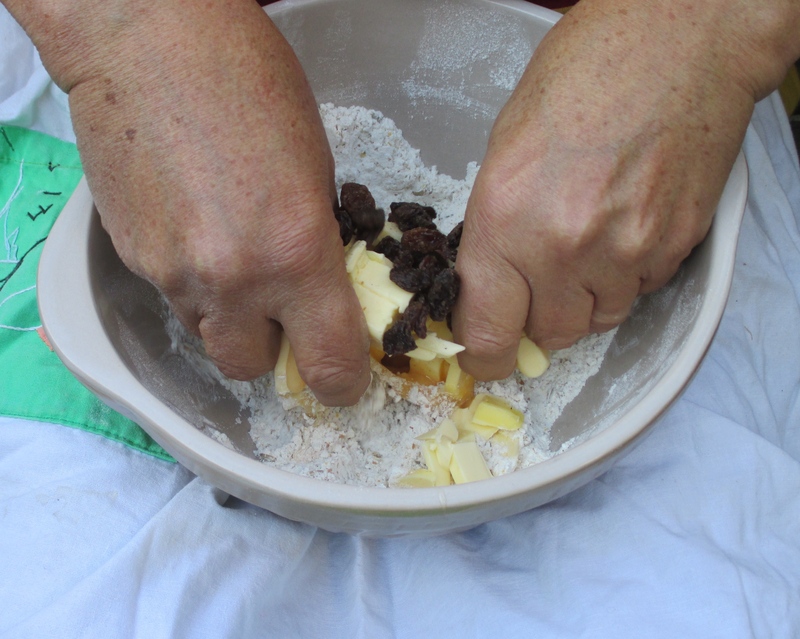 … and then eat it like a Viking!